New! "An Oasis of Calm"
Spring buds, not summer leaves, contribute green tea health value. 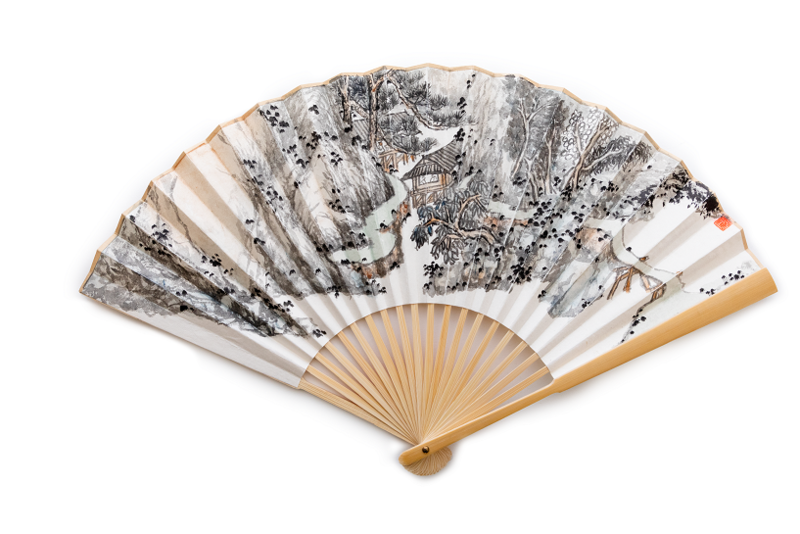 It is a classical Chinese folding fan painted with ink on rice paper created by the artist Liu Xirong. The painting reflects Chinese perception of man and nature in harmony through tea. "An Oasis of Calm" conveys the spiritual pursuit amongst tea lovers. 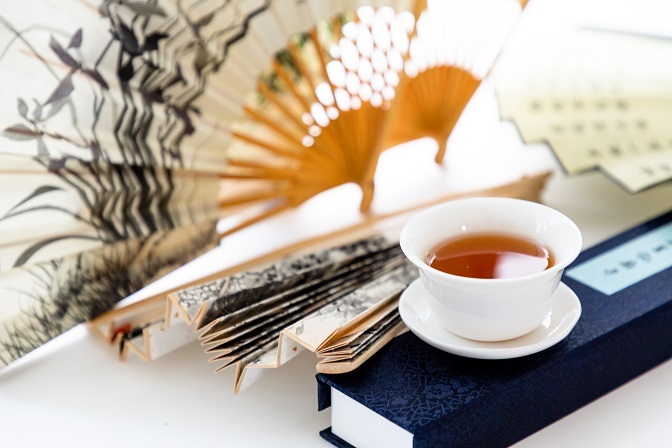 The folding fan is not only an elegant companion to tea drinking, but also a piece of art for collection. Liu Xirong is also an antique collector, highly accalaimed for his connoisseurship in the Xuande incense burners of the Ming and Qing dynasties. His collections are lavishly illustrated in his five volume book entitled "Literati Elegance: Xuande Incense Burners from the Rongzhai Collection".